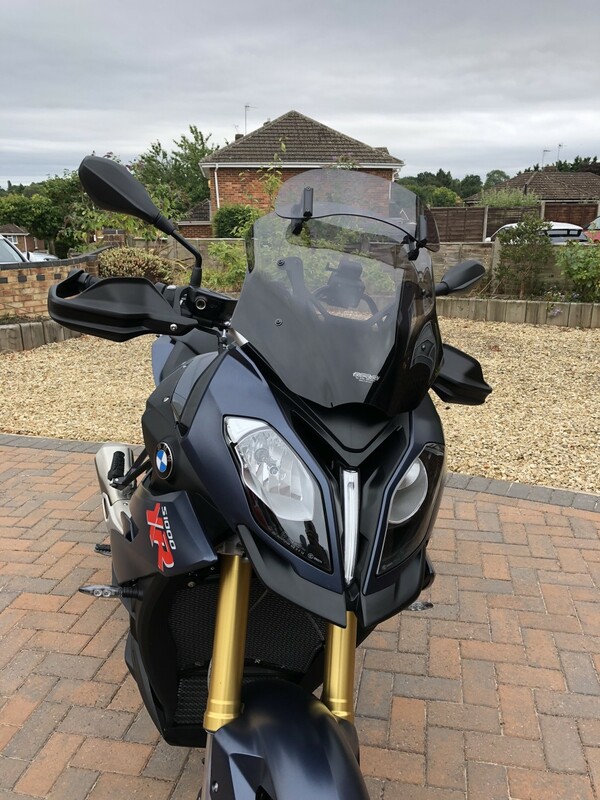 Patience never was my strong point..... missed the one for sale on here a few days ago, then had an offer rejected on an eBay item, couldn't wait for another one to turn up so popped in to my local bike shop on the way to work and bought one! I've got the Cobra Hypershots on mine, black with brushed aluminium tips - they look great on the bike! You need to take both baffles out though which is a bit of a faff but sounds much better now! Screen fitted, looks good and I think the tinted screen looks nicer against the colour of the bike. Hey Martin, could you tell me about the number plate? Where did you get it? How much ££?? And how is it fitted? Number plate is a custom size, 194mm x 163mm which is the smallest overall size keeping to the legal letter size and spacing. It only works because there is a 1 in the age identifier. My last three bikes have been 11, 15 and 18 so I've had small plates made for all of them. If the age identifier was 67 for example, the plate could only be 228 x 163 which would be the standard 9" width. 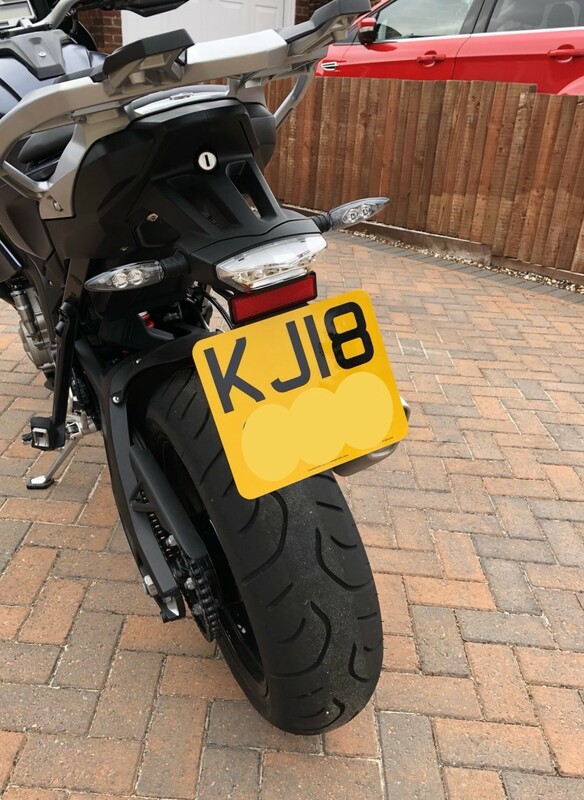 I always use craigsplates.com for my custom plates because the quality and service has always been good, but they charge extra for the custom size, so it'll run you around £30. It's a legal plate, so you also have to send them original documents for proof of entitlement and identification which can be a bit off-putting, but I send them recorded delivery and they are returned with the plate also on a recorded delivery service. For the mounting I made a mounting plate out of 3mm ABS which is screwed to the existing mount with countersunk screws. This gave me a large flat area to to stick the new number plate to with weatherproof automotive double sided tape. Out of curiosity Martin, how much was the screen? Not sure what their delivery charges are like because they are local to me so I always visit the store. They generally have good prices and their customer service is very good too. Did you get a chance to ride and try the screen yet? Did it make a difference? especially to wind noise? Not yet, but I’m off to Eastbourne this Sunday (weather permitting) so that’ll be a good test which I’ll be happy to report back on.